If music authority Rolling Stone Magazine tags an artist on their list as one of the "10 New Country Artists You Need to Know," then bet your bottom dollar, this artist is definitely one of the top artists you need to see live! Cody Jinks has created such an arresting impact with his music that it is indeed a not-to-be-missed opportunity to come and catch his show, especially if he will be swinging by just by the next of the woods. 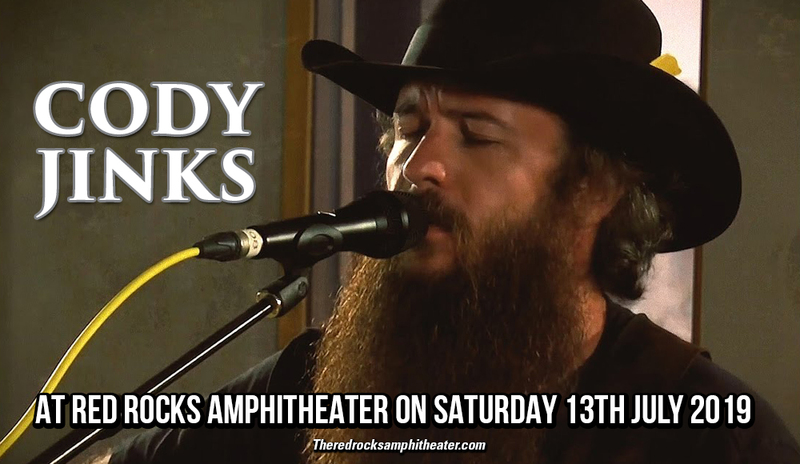 Save the date, pin this venue, and tag your friends: Cody Jinks at Red Rocks Amphitheater on Saturday 13th July 2019! And next on your agenda is to simply click the 'buy tickets' sign, then you and your friends are pretty much well on your way to catching this intriguingly sensational country outlaw whom they say, has twisted some laws from the country music rule book. If that piqued your curiosity, then start booking those tickets now! Cody Jinks has upped the ante of playing and performing country music. His game-changing style caught the attention of fans and has earned the thumbs-up as well of music critics, with Rolling Stone Magazine including them in the list as one of the "10 New Country Artists You Need to Know". From his hometown in Haltom City, Texas, Jinks naturally listened to country music. But succumbed to the lure of heavy metal. From 1997 to 2003, took front-man duties for the Fort Worth-based thrash metal band Unchecked Aggression. As he began to pursue his solo career, he'd gone back to playing country, but still kept his metal influences which he developed and concocted his own peculiar mix of traditional country music, Texas-twinged honky-tonk, '70s-era Southern rock, and outlaw country. A hybrid of outlaw country and metal rock followers started welling-up, and music critics were all ears when he released his 2015 album "Adobe Sessions", which peaked at No. 2 on Billboard's Heatseekers chart. Soon afterward, he skyrocketed to fame with the release of his 2016 album "I'm Not the Devil", which debuted at No. 4 on the Billboard Top Country Albums chart, and features a cover of Merle Haggard's "The Way I Am." If you need a change of country music scenery, take the rough dirt road leading to a Cody Jinks concert! It's gonna be a helluva fun ride!